See all the Aigner Spring 2018 looks from the runway. See all the Aigner Fall 2017 looks from the runway. 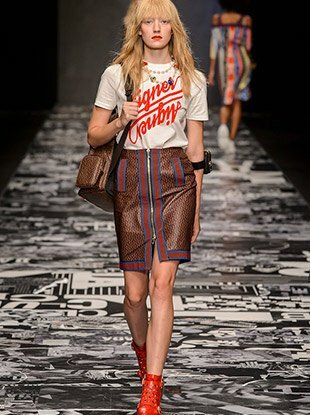 See all the Aigner Spring 2017 looks from the runway. 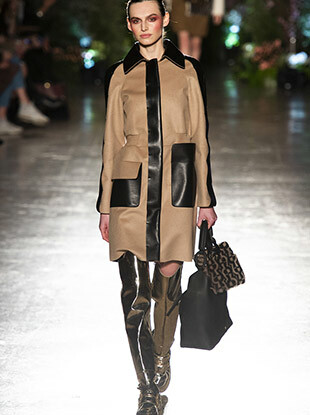 See all the Aigner Fall 2016 looks from the runway. See every Aigner Spring 2016 look from the runway. Paired with frosty gold lipstick and long, slicked back hair, this is a collection for the typical luxury consumer, one who favors sleek, grown-up looks. 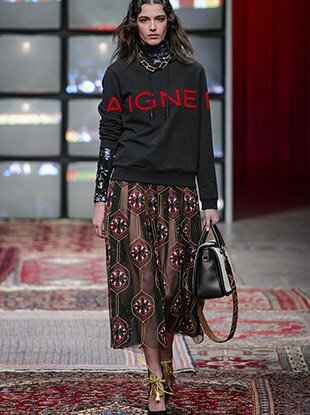 If you are looking for some gorgeous daywear and outerwear options, Aigner is your answer.